What do I have to communicate? There is only one thing. 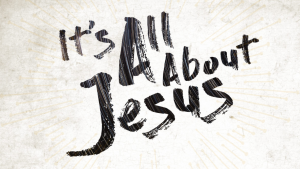 It is that IT IS ALL ABOUT JESUS. He is the focus of our lives. We often sing, ‘Jesus be the centre. Be my source… Be my hope… Be my vision… Be my path… Be my guide.’ May we not just sing the song but live the life. Read Julia’s latest blog -> here.